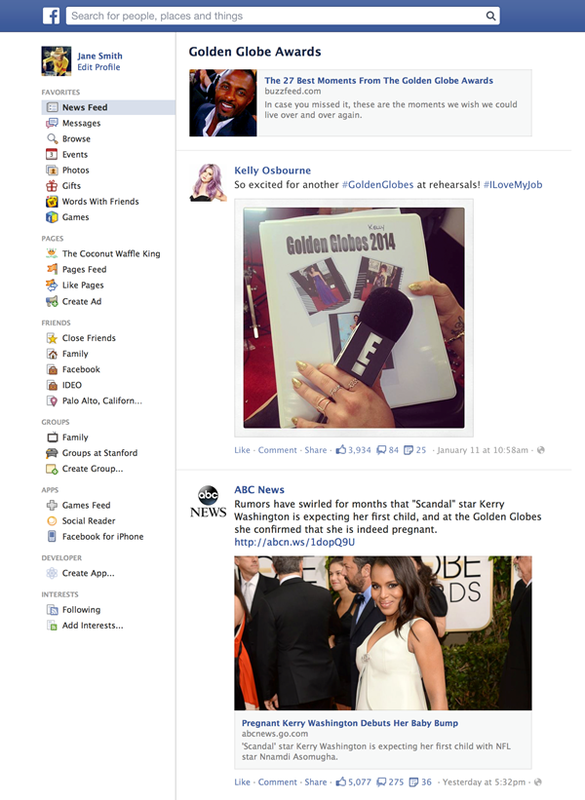 Facebook started rolling out “Trending”, a new product that displays relevant trending topics alongside users’ News Feeds. This new feature displays a personalized list of topics and discussions based on the user’s interests and what’s popular across Facebook overall. Trending is currently available for users in India, AU, the UK, the US, and Canada. From left to right: Twitter Trends and Facebook’s old Trending feature (on web and on mobile). The main drawback to Facebook Trending is that it depends on publicly available information, which could limit the amount of relevant content from a user’s friends. Costine also mentioned that the topics appearing on his own feed were not as relevant to his own Likes and posts as he expected they would be. Six out of the ten topics in his Trending list were about sports, even though he follows almost no athletes and teams and never shares sports links. Trending still isn’t available for everyone, and hopefully Facebook will find ways to address these potential problems as they continue the rollout. This new feature can provide more opportunities for your business in terms of content discovery and brand visibility on social networks. Staying on top of the latest developments in social media channels can help you develop better social campaigns. Sign up as our partner today to start offering effective social media services to your clients.